After the murder of Mahatma, the official RSS line had been that we have nothing to do with Godse; neither is he a member of RSS. They could get away with this as there was no official record of members of RSS, and they could disown Godse at legal level. As such Godse joined RSS in 1930 and very soon rose to be its bauddhik pracharak(intellectual propagator), “Having worked for the uplift of the Hindus I felt it necessary to take part in political activities of the country for the protection of just rights of Hindus. I therefore left the Sangh (RSS) and joined Hindu Mahasabha (Godse, ‘Why I Assassinated Mahatma Gandhi’ 1993, and Pg. 102). 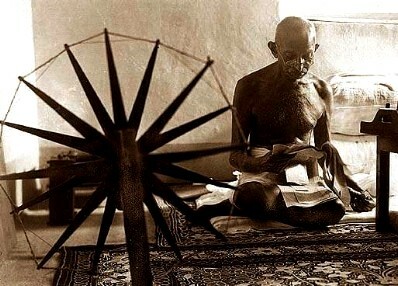 He held Mahatma responsible for appeasing Muslims, and thereby the formation of Pakistan. He joined Hindu Mahasabha, at that time the only political party of Hindutva, and became general secretary of its Pune Branch. In due course he started a newspaper, as founder editor, called Agrani or Hindu Rashtra. This murder was celebrated by RSS followers by distributing sweets, Sardar Patel wrote, “All their (RSS) leaders’ speeches were full of communal poison. As a final result, the poisonous atmosphere was created in which such a ghastly tragedy (Gandhi’s murder) became possible. RSS men expressed their joy and distributed sweets after Gandhi’s death.” Excerpts from Sardar Patel’s letters to M S Golwalkar and S P Mookerjee. (Outlook, April 27, 1998) The way Hindu communalists were spewing poison against Gandhi, it was logical outcome of their politics. They used the word wadh for this murder; this word stands for killing a demon who is harming the society. In a way Gandhi murder was the first major offensive of the Hindutva politics on Indian Nationalism, in a way it was to herald the onset of bigger dangers which Hindutva politics has assumed today. This Hindutva became the base of politics of Hindu Mahsabha and RSS. Gandhi in contrast was a Hindu but was opposed to the idea of Nation being a Hindu nation. Similarly we see Maulana Abul Kalam Azad; a Muslim never supported the idea of a Muslim Nation Pakistan.Gandhi and Hindutva politics were two opposite poles. Gandhi united the whole nation on secular grounds, cutting across region, religion and caste. He was a religious person but he was opposed to misuse of religion for political goals… “In India, for whose fashioning I have worked all my life, every man enjoys equality of status, whatever his religion is. The state is bound to be wholly secular” (Harijan August 31, 1947) and,” religion is a personal affair of each individual, it must not be mixed up with politics or national affairs”(ibid pg 90).While Hindu Mahasabha and RSS believed that this nation is a Hindu nation and minorities have to remain subordinate to Hindus. They mostly did not take part in anti British agitations and struggles. For example Savarkar who was an anti British revolutionary in the beginning of his life, after getting released from Andman jail, never participated in any anti British movement or joined and national movement. RSS followers barring Hedgewar, occasionally and in the beginning also did not take part in freedom movement. Their main focus was countering the Muslim communalists and subjugating them, they were not against the British power as such.